The financial system is simply imploding because those running the affairs of government are more concerned about retaining power than providing economic stability. There are people who are so polarized on each side of many issues from hyperinflation, global elites, socialists hating the rich, communists who see capitalism as evil, and politicians who blame tax avoiders. There is so much polarization within society that there cannot be any solution for everyone has a fixed opinion and only they are right. This is then exemplified in government. They too only see their point of view and it is simply that they lack 100% control of everything (communism) and this is why it is failing. 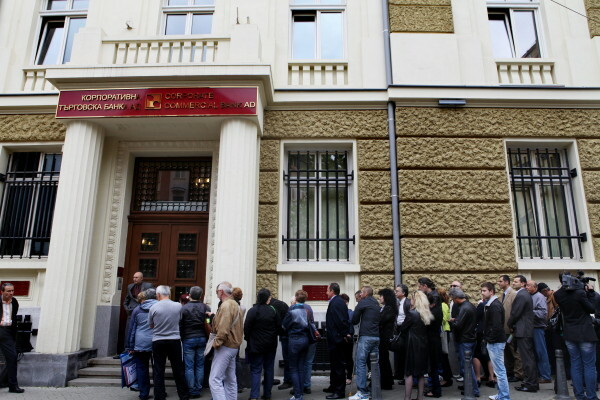 Now we have bank runs in Bulgaria. The entire fabric is coming undone and this is part of the fuel that sends everything into chaos and the risk of war as tensions rise and people blame someone else be it rich, foreigners, bankers, or corporations. This is the time where clear reasonable thinking and solutions become impossible. The IMF is now urging the ECB to start buying government bonds of the member states. They have no solutions but the same old bad of tricks. There is nobody even capable of thinking out of the box in a position of power. We are plagued by lawyer-politicians in the total absence of anyone with experience in international money management – the void of experience and statesmanship. « Will Society Ever Wake Up?